Legal Representation for Victims of Crimes, Florida Crime Victim Attorney - Robert N. Pelier, P.A. Experience you Want. Responsiveness you Need. Crime causes pain, injury, loss and tragedy. We can help you fight back! For over 25 years, Miami, Florida crime victim attorney Robert N. Pelier has believed that obtaining justice is truth in action. In the relentless pursuit of justice, Mr. Pelier has aggressively and tirelessly fought to ensure that crime victims and their families’ voices are heard in the criminal and civil judicial system. Our extensive experience in both the criminal and civil judicial system provides unparalleled insight and knowledge in representing victims of crime. 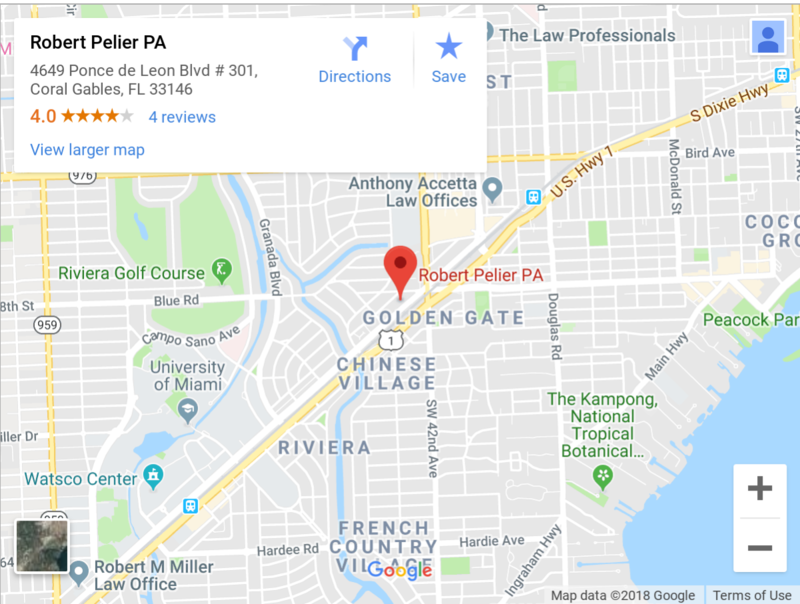 As a Florida crime victim attorney, Mr. Pelier understands that involvement in the criminal justice system as a crime victim or family member of a crime victim can be overwhelming, frustrating, uncertain, and emotionally challenging. Additionally, crime victims may sustain personal injury and be adversely financially affected. The costs of crime to a victim at times may be incalculable and significant. Those responsible for crimes should be held accountable for their actions. Being a member of the National Crime Victim Bar Association and an advocate for victims of crimes, Mr. Pelier understands that often times there are others who have contributed to the criminal activity committed. These individuals have created or ignored circumstances and/or have been negligent or irresponsible in their conduct. Identifying the aforementioned matters is imperative during victim representation in order to ensure all avenues of justice available are pursued.